Logic Communications said they are set to increase the number of TV channels available to watch one of the world’s most popular football leagues. “Currently Logic Communications buys a channel from the Caribbean’s leading sports network, Flow Sports, for coverage of the English Premier League,” the company said. “It is hoped that from next month, Flow Sports will be making an additional channel available to Bermuda: Flow Sports Premier. This will increase the number of matches shown. The announcement comes after Logic received complaints from customers who said they could not watch the games they wanted. Logic CEO Frank Amaral said: “For the time being, Flow Sports is the only channel available and which matches are shown on each channel is entirely at the discretion of Flow Sports, so we unfortunately do not get to make the decisions about what’s on and when. He added: “We are ready to air Flow Sports Premier as soon as it becomes available. The channel is targeted to launch next month, though an exact date has not yet been provided. He added further: “We do not block out other channels that show the EPL games, or anything else for that matter. If an NBC affiliate, for example, is showing an EPL game in the USA it’s because they have the rights to do so there. Logic said, “Both channels will be available in HD. If a customer subscribes to Flow Sports, with Logic they will automatically be able to watch the matches in HD for free provided they have an HD capable box. 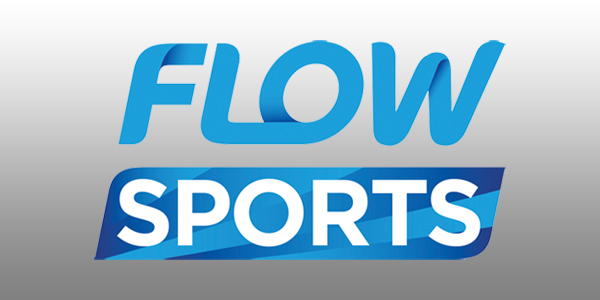 “Flow Sports is currently available from Logic on channel 338 and the HDTV version on channel 438. I note that there was no mention of the fact that they sold sports Max as a Premier league package and are not compensating people for the games not being available! Shocking service, the only reason they are doing it is because people are leaving in droves. Me for one – so many better app based options. That they charge so much too is insane. C’mon – they are trying at least that’s something isn’t it? Just call in and cancel the package, I did. I hope that I can get this Flow channel and get rid of sports max for the same price. I also bought sports max for West Indies cricket and I note that the only team not shown nowadays is West Indies. So only one added flow channel? I thought the previous correspondence was there were gonna be 3 or 4? With all the noise about Flow and the coming of the 2nd miracle channel, under what rock have you been living to be talking about a 3rd or 4th channel? Get with it man! Okay …so now that you got the mail working, internet working and new channels …CAN SOMEONE PLEASE CONSENTRATE ON FIGURING OUT FIXING THE TIVO GUIDE PROBLEM!!! I have tried to be patient , but no press release and the staff while polite don’t seem to know much more than “we are working on it” . What is the problem and when will it be fixed? My patience is running out and if I decide to leave Logic, I will never go back. As much as it irks me to defend Cablevision/Logic, the TiVo issue isn’t their fault. TIVo initiated an ‘upgrade’ to their channel guide update system, but completely forgot/ignored Bermuda/Cablevision. And TiVo are no more helpful than Cablevision in their responses to requests for info about when it will be fixed. It’s a disgrace. Service is crap ever since Fox Soccer Channel lost the rights to EPL…FACT!! Sportsmax etc. are all rubbish. Flow remains to be seen. You can pay Logic for cable TV or you pay Logic for faster Internet speeds to accommodate streaming TV without stuttering. If you want good quality you subscribe to services like Netflix, Hulu or Prime where you pay a monthly subscription, annual membership and possibly a fee for a VPN service. Or you use things like Apple TV and iTunes and pay for almost everything you watch. Another option is to buy a GBOX get it programmed to see TV which is free but often are filled with bad links, apps that go down or stream poor quality most of the time. I have one that I use to get football games if I have no choice and it is okay…but not equivalent to regular TV. What is funny Evie, is that you still believe it is free Nothing is free. And how about when you don’t have internet cause an outage? What that streaming picture looks like? Not HD is it, I seen some streaming from g boxes it looks like someone put grease on the screen! LMAO! It’s okay to have both, some want to have an HD picture and don’t mind paying. And plus you’re paying for internet service to watch it! People including myself bought Sportsmax for the EPL football, how long will Flow last before Logic lose the rights for that channel as well. Why are Cablevision/Nonlogic always unprepared for the EPL season? Surely this is something that could have been sorted well in advance of the season starting. Blah blah blah, you’re a bit TOO LATE logic, 6 games into the season and this is the best you come up with? I grew impatient after week 2!!! Now I never miss a game thanks to my GBOX and no I am not using Logic as my internet provider and never will! So,….I wonder if it will still buffer like crazy on the logic TV system. How about adding 50-75 Mega bite fibre otic in homes before you offer this sports package. Come on nah, puting the carriage before the horse again!!! SMH!!! THE THING THAT LOGIC/CABLEVISION DON’T WANT YOU TO KNOW IS THAT IN ORDER FOR YOUR TO GET FLOW AND THE UPCOMING NEW FLOW CHANNEL YOU WILL STILL HAVE TO BUY THE SPORTSMAX PACKAGE TO BE ABLE TO RECEIVE FLOW EVEN THOUGH THEY LOST SPORTSMAX AND WON’T SHOW GAMES ON THERE. IF THAT’S NOT HIGHWAY ROBBERY I DON’T KNOW WHAT IS…..GET REAL CABLEVISION! TO ADD TO THE ICING ON THE CAKE THIS IS GAMEWEEK 6 COMING UP FOLKS…SIX GAMEWEEKS IN TO SEE A “PRESS RELEASE.” NOW ASK YOURSELVES DOES LOGIC/CABLEVISION ACTUALLY CARE ABOUT WATCHING FOOTBALL….SAFE TO SAY NO!! Does Cable not realize that it was announced in Oct 2015 that Flow had got the rights to the Epl? They have had over a year to sort this out, I even knew about the rights change and I am not in the TV business. You think that you might make it your business to know your business unless you are in fact a joke! Ok so you say you don’t have the rights then why was channel 416 showing the game a couple weeks ago. I am not understanding. What amazes me is that WoW had known since January that Sportsmax was not gonna have the BPL for the new season. So why did it take customer complaining in the beginning of the season for Logic to take action. Someone had certainly dropped the ball on this one. It is disgusting that for the almighty dollar NBC have the right to black out the BPL games. Imjustsayin! I was watching Fox Soccer 1 on WoW that Logic doesn’t have in their channel lineup. And it was so crystal clear, like WOW! !